Note: The information on this blog is taken from, “Tidbits of Wisdom for Parents” video series found on my YouTube channel. This blog includes many links of what I discuss on the video. All the videos in the series focus on ways you can help your child tap into their sense of wonder and curiosity thus helping them to be brighter kids. As a parent, do you love science? What about your kids—do they love (or at least like) science? Is their science program in school interesting, creative and challenging? What ways do you and your spouse help your kids to love science? Do you take your kids to science museums? Read them science books? Engage in simple science experiments where the whole family can participate? Science is all around us—in nature, in our cells, under a sink, and inside the earth. It’s important for kids to know and understand that the world is science and learning about it will enrich their lives and build their brains. Based on the Theory of Multiple Intelligences, kids who love science fall under spatial intelligence–people who are exceptional problem-solvers. One powerful way I’ve found to get kids initially interested in science is reading them a variety of science books. Books that will whet their curiosity for what makes this world tick! After you read science books to your children on a variety of subjects, then help them to conduct different experiments at home. These will help to increase their creativity and imaginations. Discover real meaning through hands-on exploration in your yards, neighborhoods, parks, museums and more. Below is a brief synopsis of 11 books about different aspects of science to read to your kids and teens. They will help you open up the fascinating world of science to them. Included at the end is an additional list of 5 more science books. Take your kids to a science museum—an aviary, dinosaur museum, aquarium, curiosity museum, etc. to broaden their experience. Talk about science around the dinner table, on the way to school or on your way to the grocery store. 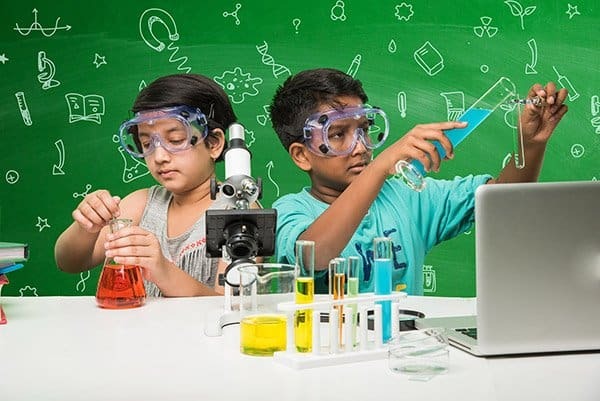 Create science in your kitchen and let your kids bake and cook, or grow a garden; take care of animals; explore nature, or learn about the science of electricity etc. Point out to your kids that science is everywhere and our interesting world is one big science project! Learning science can begin with books and in the kitchen! 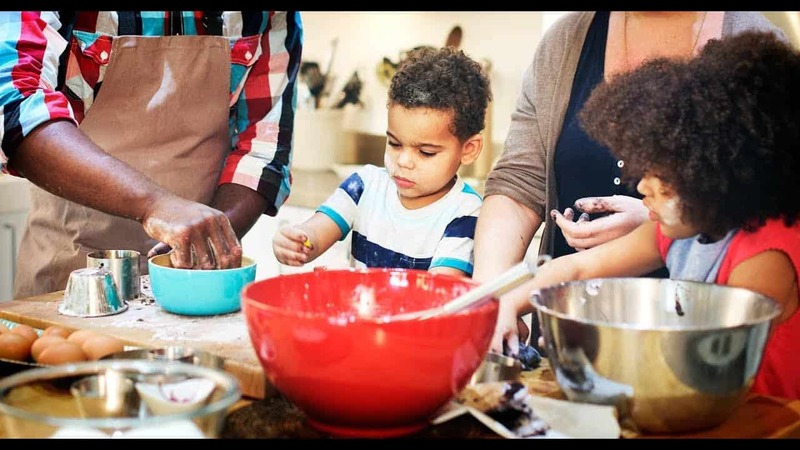 Kids love to cook and they learn certain things about science as they measure, add ingredients and cook and bake. A love for science begins at home! I’ll never forget what my daughter-in-law Tiffany did to help her kids to have a love of science. She first read her kids fun books about science, but to make it more “real” she purchased some Petri dishes and swabs and had the kids swab the inside of the toilets in the house and put their “findings” in the Petri dishes. The best part was watching the bacteria grow in the dishes. The kids loved it and learned you don’t have to go very far to find science–it can be under the toilet seat! When our oldest son was in the 7th grade and had to do a science project, the whole family got involved. He wanted to grow plants. My husband gave him an idea–zap some of the plant seeds with radiation and see how they grow in comparison to the seeds that were not irradiated. To irradiate the seeds–we needed to find a safe radiation source. We took him to the California Institute of Technology in Pasadena, California. A friend worked there and with Jason, he irradiated the seeds on a Caesium-137 radiation source. The “proof” was in the pudding–he tried growing the irradiated seeds along with the other seeds and they barely grew. how too much radiation destroys growth, etc. Reading books about science is a great beginning. But to make it lasting, kids need hands-on experiences. Jason is an adult and still remembers doing this science experiment and what he learned. Here are some science books to get your family started on their way to loving science! This is one of our most favorite science books! Wilson Bentley grew up in Vermont and his most favorite season of the year was winter. He loved snow and considered the tiny ice crystals we call “snowflakes,” as living miracles. His goal was to photograph snowflakes (a feat considering how quickly they melt) so that others could see the wonder and enchantment of these tiny flakes of snow. He did find a way to photograph snowflakes and discovered two important truths: no two snowflakes are alike (just like no two people are alike) and each snowflake is incredibly beautiful. The book tells an enchanting story of Wilson Bentley and shows some of his many photographs of snowflakes. It also demonstrates the persistence Bentley showed in bringing these photographs to fruition but also the passion he had for a wonder of nature! This book is a song (sung by the Byrds) based on Bible verses which illustrate there is a season for everything. Included on the CD is the original music by Pete Seeger, The Byrds version of the tune and notes from Seeger about writing the song. One of the highlights of this book is the gorgeous illustrations. What are the 4 seasons of the earth? How does each season change the landscape of the earth? What happens to animals during each season? How do they prepare for each season? What are the pros and cons of each season? This book was first published in 1919 and was written by, William Long, the famous American naturalist who was the first person to study how animals in the wild talk and communicate with each other. His findings were based on years of detailed field observations. The book explores the phenomenon of vocal, silent and motionless communication among animals. From crow talk to instant herd communication, William Long theorizes that animals are much more intelligent than we have ever considered. This book contains many examples of animal behavior that defy explanation. Long’s findings on the impact of our presence on animal life–and the cost that we pay in separating ourselves from animals, who help define our place in the natural world–may be more relevant today than ever before. When you were growing up, did you have an ant farm? They are fascinating to teach kids how ants show amazing teamwork skills as they live and work building colonies and cities. Did you ever wonder where an ant goes when it disappears into an anthill? Underneath the hill, there are miles of tunnels and hundreds of rooms! With simple, easy-to-understand words and colorful illustrations, Arthur Dorros explains the life of a harvester ant and he shows how to build ant farms with your kids. Note: This is a Stage 2 Let’s-Read-and-Find-Out, which means the book explores more challenging concepts for children in the primary grades. Let’s-Read-And-Find-Out is the winner of the American Association for the Advancement of Science/Subaru Science Books & Films Prize for Outstanding Science Series. This book also supports the Common Core Learning Standards and Next Generation Science Standards. 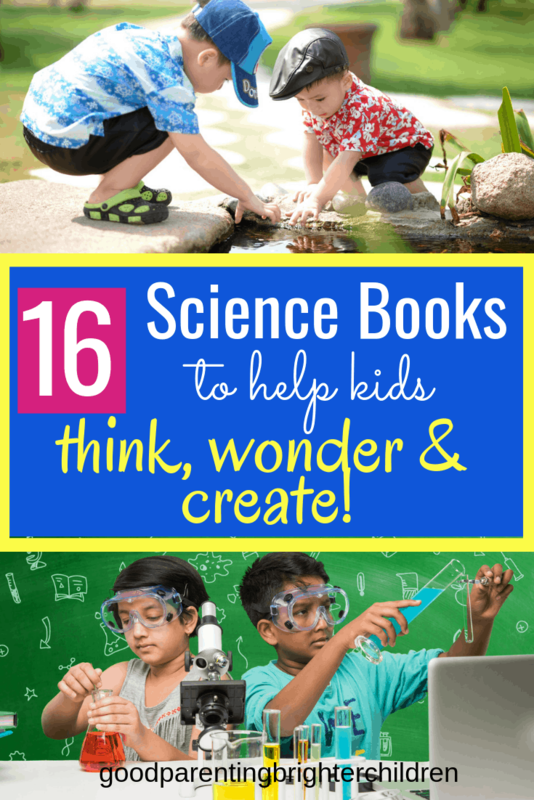 This book is loaded with science projects you and your kids can do at home. Make a hip-hoppin’ java jive bass out of an old coffee can. Put on your homemade tuxedo and conduct your own orchestra. 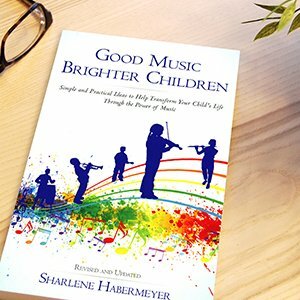 Those are just some of the fun projects and activities you’ll enjoy as you discover the mysteries and melodies behind the science of music and sound. Learn how sounds are made, and how we hear them. Find out how your favorite instruments actually make music. You can even create your own electronic music studio. A favorite since its original release in 1978, this new edition features a revised text– updated with new information and vetted for accuracy by a Native American expert. You and your kids will learn everything you need to know about this favorite snack food and the science and history to boot! Two great recipes are included. The science behind making perfect sauces, custards, and souffles. Arnold has swallowed the Magic School Bus! Now, instead of seeing an exhibit of the human body at a museum, the class is taking a look at Arnold’s stomach, his intestines, his bloodstream, and more from the inside on this heart-stopping field trip. Brings our anatomy to a level that any kids would love to see and experience! I read this book, shared it with my adult children—and we were transformed by the beauty and intelligence of trees! Are trees social beings? In this international bestseller, forester, and author Peter Wohlleben convincingly makes the case that, yes, the forest is a social network. He draws on groundbreaking scientific discoveries to describe how trees are like human families: tree parents live together with their children, communicate with them, support them as they grow, share nutrients with those who are sick or struggling, and even warn each other of impending dangers. Wohlleben also shares his deep love of woods and forests, explaining the amazing processes of life, death, and regeneration he has observed in his woodland. I’ve always loved trees—their shape, colors and the sounds they make when the wind blows through them, but this book will teach you things you never imagined! Your walk in the woods will never be the same again. It’s a book you want to read to your children—teens to adults—they will love it! I love birds! And in my old age, I want to be a bird watcher (I’ll have more time). But this is another book that your teens through adult children will love—especially if they’re like me and are fascinated by birds. Birds are astonishingly intelligent creatures. According to revolutionary new research, some birds rival primates and even humans in their remarkable forms of intelligence. Author Jennifer Ackerman explores the brilliance of birds as she travels the world to the cutting-edge frontiers of research. Ackerman not only tells the story of the recently uncovered genius of birds but also delves deeply into the latest findings of the bird brain itself that are shifting our view of what it means to be intelligent. At once personal yet scientific, richly informative and beautifully written, The Genius of Birds celebrates the triumphs of these surprising and fiercely intelligent creatures. Want to remember this post? Post, “Here Are Some of the Most Amazing Science Activities for Kids” on your favorite Pinterest board! « Here are 18 of the Most Spectacular Benefits of Bananas! Another amazing post, Sharlene! My absolute favorite part of this article is where you make a point to say that just giving a child a science book is not going to work. From there you go on to point out that your child wants your company and you should be a part of this whole experience if you truly want it to work. That piece of advice is golden and one I try my very best to follow daily with my own son. I know you did the same with your boys too!! Thanks again for creating content that helps me reflect and grow my own parenting. You and your husband are great examples of DOING things with your son and not just telling him. That’s why he’s such an amazing young man! It takes time to raise kids (as you know) but the efforts are worth the result! Thank you for your comments and support!